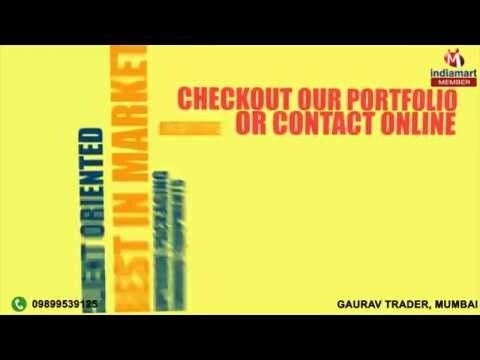 Welcome to Gaurav Trader, established in the year 2001, we are trusted in manufacturers, trader and supplier of Umbrellas & Promotional Products like Promotional Umbrellas, Garden Umbrellas, Promotional Tents and many more. The product range offered by us is inclusive of Promotional Stylish Products, Promotional Umbrellas and Garden Umbrellas. Appreciated from our customers for its rich attributes such as attractive design, fine finish, durability and aesthetic pattern, the umbrellas offered by us are designed from quality assured materials. Offered range of umbrellas is available with us in eye-catching color patterns, designs, shapes and sizes. Some of our valuable customers are Tata Teleservices Limited (Tata Indicom), Reliance Industries Limited and K Raheja Private Limited.